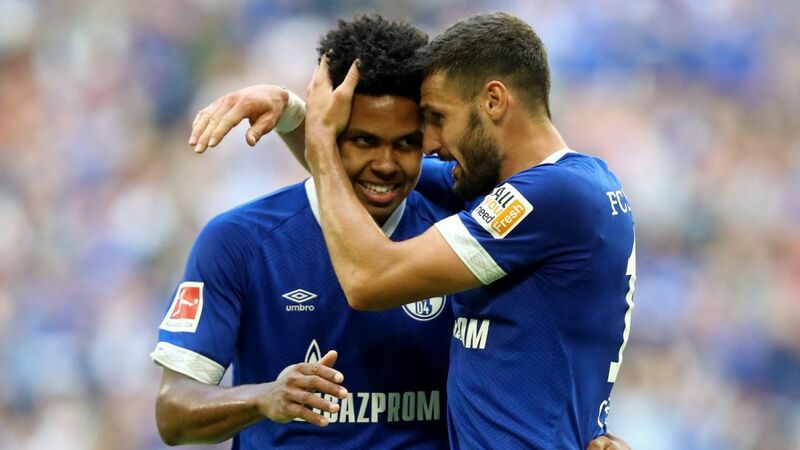 Schalke midfielder Daniel Caligiuri says he cannot fault the attitude and commitment of young teammate Weston McKennie. Caligiuri joined Schalke from Bundesliga rivals Wolfsburg not long before McKennie made the step up from the U19s team, and is delighted with the impact the 20-year-old USA midfielder - now a regular for club and country - has made. "Weston is what you'd imagine from an American - always cool, always laid back," Caliguri said in an exclusive interview with bundesliga.com. "He's a fantastic guy, he laughs a lot and makes us laugh. The older players sometimes have a few wise words for him, but that's part of it. I like his mentality, he always gives his all, whether it's in training or in a game." McKennie's performances on the pitch have helped Schalke through a particularly rough start to 2018/19. The Texan chimed in with an assist on his UEFA Champions League debut in the draw with Porto, before opening his senior club account with the winning goal at Lokomotiv Moscow. McKennie struck again against Fortuna Düsseldorf on Matchday 7 as the Royal Blues claimed only their second Bundesliga win of the campaign. "Not everyone has his talent at 20," Caligiuri told the Westdeutsche Allgemeine Zeitung. "He's a fighter, and I'm sure that his goals against Moscow and Düsseldorf are just the start. Fifteenth in the table isn't where we want to be, but we're making good progress. I think we're on the right path, and I know that Weston is only going to become a more important player for us." McKennie withdrew from the USA's October international friendlies against Colombia and Peru with a groin strain, but is expected to be fit for Schalke's Bundesliga Matchday 8 encounter with high-flying Werder Bremen at the Veltins-Arena on Saturday. Die Knappen are chasing a third successive win in all competitions.